Here at the State House it's #GoRedForWomen Day! 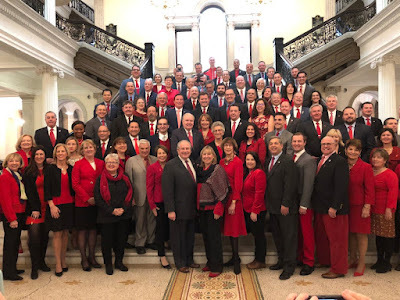 I am proud to stand with my colleagues to raise awareness about heart health. 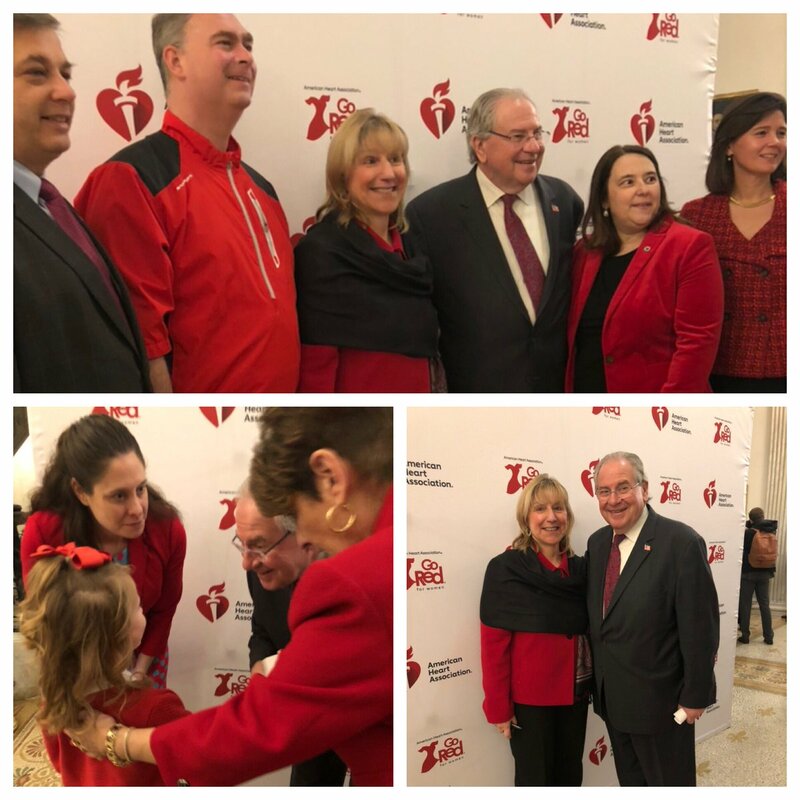 Thank you to American Heart Association -- Massachusetts and the Massachusetts Caucus of Women Legislators for organizing this great awareness event. With House Speaker Robert A. DeLeo, Senate President Karen Spilka, Attorney General Maura Healey, State Senator Vinny deMacedo, Representative Brad Hill, Representative Ann-Margaret Ferrante, Senator Dean A. Tran and Representative Carolyn Dykema. Who's gone to the Super Bowl the most?